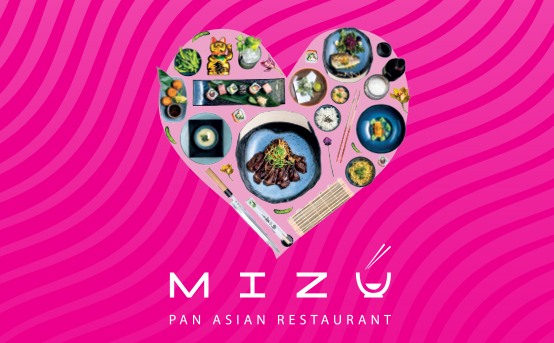 Treat that someone special with a delicious Pan Asian dinner at Mizu this Valentine’s Day. Our special Valentine’s Tasting Menu is a great way to try all the best bits of our menu and includes everything from delicious Valentine’s sushi to heart-shaped Japanese omelette. £38 per person. Minimum 2 people. To book call 017687 77285.